Data Science and taking a holiday are more similar than we think and many parallels can be drawn. When it comes to planning a trip, the journey starts before we even leave the house. Destination, dates, flights, rental cars, hotels… some of us have all these details planned out. The thought of our holidays thrills us, and planning to get there involves cost and effort – as does deciding what to do once we get there. A data science journey is similar. The excitement builds up once you start thinking about it, the brainstorming about countless possibilities… then the cost sceptics try to rein you in. You look at various ‘destinations’ (improving margins, understanding profit leakage, predicting asset failures, etc.). Once you have decided where you are looking to go, you also start comparing ‘flights’ and ‘hotels’ (Cloudera, MapR, Hortonworks, etc.). So, where do you go from there? How will you reach your insights destination? Go your own way: You might choose to drive there yourself – provided that you have a good car, knowledge of the roads, and are prepared to take the task of driving there. In many cases, you must ensure that the vehicle is insured, serviced, taxed, has a breakdown plan, and you are licensed to drive it in different countries. You must rein in your ambitions and opt to travel somewhere within driving distance rather than overseas. In terms of data science, this is the option where you decide to build or use your own solution and run it. You limit your choices, but maintain control of where you go and when you leave. Use only what you need: What if you decide to rent a car at your destination? In our data science journey, that would be comparable to Insights as-a-Service, where you make use of a big data and analytics landscape from an established provider. This option allows you to choose the size that suits your journey, pay as you use it, and avoid any upfront costs or maintenance charges. You can simply ingest the data into this platform, perform any transformations as you need, visualize the data in a variety of ways, and discover trends and patterns. And as you would rent a SatNav and breakdown cover for your car, you could also get a data scientist to write the algorithms to guide and help in case you have a problem. Hire the experts: The third option is to choose a tour company that helps you decide where you want to go, provides you with a guide and driver, and transports you to and from your leisure and sightseeing locations. In terms of data science, this choice is comparable to going with an Analytics Crowdsourcing Service, where you will benefit from a more comprehensive range of answers to your hypothesis. This is a great option when you are unfamiliar with your destination, need solutions in a very short period, and are not certain what you will do when you get there. The timeline (from groundwork to preparing the data to receiving the available options) typically happens within a week to 10 days depending on the extent of the problem. Which options would you consider? I would love to know your thoughts. 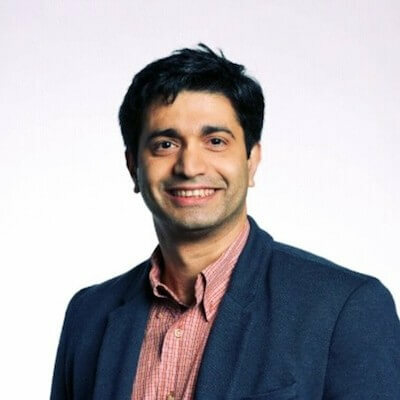 With over 24 years of experience, Zubin helps clients formulate analytics strategy and roadmaps, analyze technology requirements, encourage business adoption and implement solutions to improve business performance.